Rogers Archives · Stop the Cap! 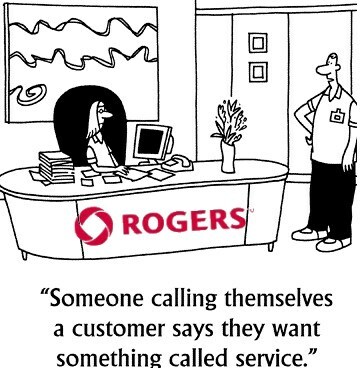 Rogers Communications’ call center workers treated customers as adversaries and allegedly placed unauthorized charges on customer bills, didn’t disclose service fees, and avoided downgrading or disconnecting service while managers encouraged these practices and lectured workers it was not their job to worry about what customers thought. Days after CBC News’ Go Public unit revealed stories of customer abuse shared by Rogers’ call center workers, more than two dozen additional current and former workers have now come forward confirming the first report and declaring the company’s call center work environment was uniformly “toxic,” “intense,” “high pressure,” and abusive to employees and customers alike. Rogers management cares about only one thing, employees claim — making money any way a representative can, even if it means pushing products and services on unsuspecting customers. A four-year employee at Rogers call center in Brampton, Ont., who left in 2015, still vividly remembers he was trained to trick customers at every turn. He and his colleagues were trained not mention cancellation fees charged by other providers when a customer switched to Rogers. Agents were shown how to quietly remove some services from a customer’s account while adding others that counted towards a monthly sales goal, hoping the customer wouldn’t notice. This trick, he told CBC News, involved secretly reducing certain services — such as the number of television channels a customer received — so an agent could add new services, such as a home phone line they didn’t necessarily need, but that earned points towards monthly sales target. In its original report, CBC News quoted a Rogers spokesperson who denied knowledge of these practices and declared there was no tolerance for employees who mistreated customers. But the latest group of employees to come forward consider the abuses systematic and occurred with the full knowledge of company managers and supervisors. If a customer called in to complain about something on their bill, downgrade, or cancel service — all things that could affect sales targets, it was ‘all hands on deck’ among call center workers and their colleagues. In addition to hanging up on customers trying to cancel service, Rogers customer service representatives tricked customers trying to escalate a problem to a manager. Instead of transferring calls to an actual manager, employees were taught to transfer the call to a fellow agent who was prepared to repeat claims there was nothing Rogers could do to resolve the issue. Making a call to Rogers’ customer service can be risky business for customers, because it gives call center workers access to your account, where they can add services without your knowledge to help make their monthly sales targets. Nicole McDonnell worked at a third-party call center in London, Ont., contracted with Rogers to provide customer service. She quit three months ago disturbed about what she saw. 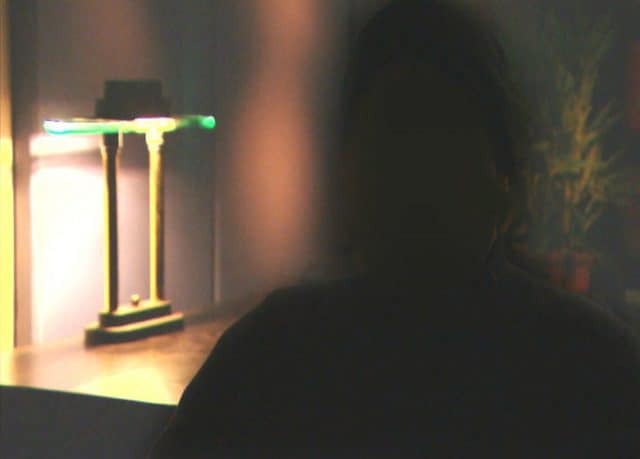 She told CBC News she witnessed agents making unauthorized changes to customer accounts, such as adding lucrative cellphone activation charges without the knowledge of the customer. “The things that go on behind closed doors would leave you speechless,” she writes. Debbie Sears echoed McDonnell. Taking calls from her home office in Kingston, N.S. through a subcontractor, Sears was trained to do one thing above all else: sell. Sears said she was trained to push phone protection plans for cellphones for $12 a month, but was told not to mention a replacement fee of up to $200 applied if a customer ever made a claim. Other times, she claims, managers would approve cellphone sales even when a credit check suggested a customer was opening a fraudulent account or had very poor credit. Like other Rogers employees that don’t make their sales targets, she was eventually terminated. One former Rogers manager reached out to Go Public to share how he was trained to put pressure on workers in the Ottawa call center. The pressure for sales reached a new level of intensity in 2015 when Rogers issued a memo directing senior leadership to light a fire under call center workers to get them to sell more services. At least two-thirds of all call center workers were placed on a “performance improvement plan” that most employees understood was the kiss of death to their employment in the near future. The message was perfectly clear – sell more or risk being terminated. On the other hand, he says, top sellers were protected — even if they behaved unethically. Once an employee found themselves assigned to the “performance improvement plan,” managers knew most would have to go, and they had no patience for anything except a radical turnaround. If the employee still struggled making sales, their future was bleak. The ex-manager told CBC News he would squeeze every minute out of their last day at the company, tapping them on the shoulder five minutes before the end of their shift to put them in a private room, and then fire them. When it got too much for even him and he began questioning Rogers’ way of doing business, he was fired too. 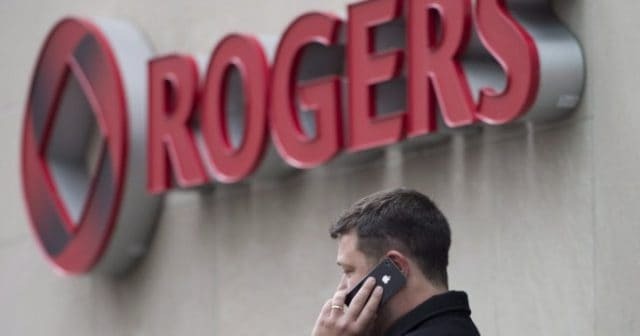 A special investigation by the Canadian Broadcasting Corporation found Rogers’ call center employees engaging in high pressure sales tactics, pushing customers to buy products and services they do not need. In emails and interviews with Go Public, a CBC consumer investigations unit that seeks to hold corporate and government powers accountable, more than a dozen Rogers workers report they’re under “extreme pressure” to hit sales targets or risk termination. “You’re supposed to look at a customer’s account and sell them cable, home phone, home security, a credit card — whatever is missing,” says an employee who currently works at a large Rogers’ call center in Ottawa and has asked CBC to conceal his identity to avoid retribution in his workplace. Employees report they are constantly under stress to meet sales quotas, which are not eased even an employee is out sick. Employees know Rogers will terminate call center workers that do not sell enough products to customers, which has created an atmosphere where some desperate workers sign up customers for services they do not understand or cannot use to keep their jobs. 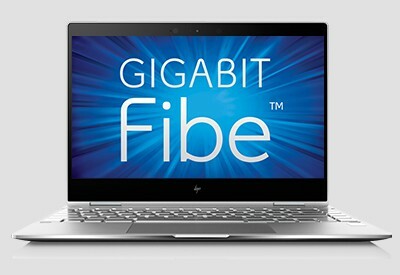 One employee told the CBC he will sign up seniors for internet service, and inform them a technician will come to their home “to install a modem for their TV,” despite the fact modems are used with internet service, not cable television. “We’re giving internet service to customers who actually do not have a computer,” he says. The alleged corrupt business practices begin with the first job interview, where ex-employee Jessica Robinson was asked just how strongly committed she was to sell Rogers’ services. 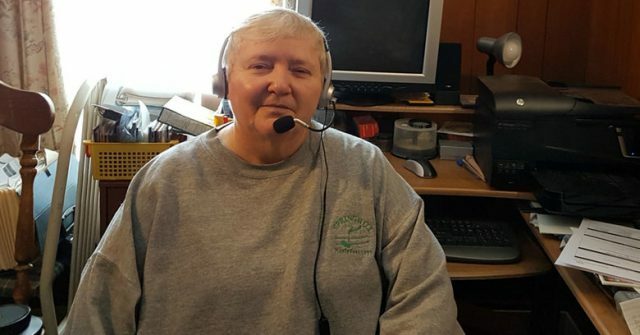 “When I had my interview … they actually asked me ‘If an elderly lady calls in to cancel her sports package on her TV because her husband just died, are you going to convince her to keep it and add more? '” says Robinson. Robinson echoed many other employees who told CBC they were expected to sell on every call, no matter the reason. If a customer calls to cancel service or report a service problem, before they get help, they will get a sales pitch. To keep customers buying, representatives sometimes wrongly claim buying more products will result in a lower bill because of bundling discounts. “Even customers who have home phone service, I say, ‘How about I add a second line for your home phone and I’ll give you a discount for your other product?’ Which makes no sense,” a representative said. What the call center workers often don’t tell customers is they are also sneaking other items on to customer bills. The biggest are installation and activation fees for the services being pitched, which often run $25-50. Customers are sure to call back 1-2 months later when a much higher-than-expected bill arrives, and those call center workers are trained to handle that as well. That is what happened with Sheldon Nider in 2017 when the 72-year old resident of Richmond, B.C., called to upgrade his phone and inquire about adding a 25% corporate discount he was entitled to receive. After 90 minutes on the phone, a Rogers representative told him he did qualify and also sold him a phone for his granddaughter. The following month, a 17-page bill arrived in the mail. Nider’s bill unexpectedly jumped $135 a month and, just as bad, he did not get the corporate discount he originally called about. “I think it’s a bait and switch because they bait you with a discount, then switch it and don’t give it to you. It’s as simple as that,” Nider told CBC. Rogers later admitted in an email message to Nider the sales agent “misinformed” him, but that was all they were willing to do. 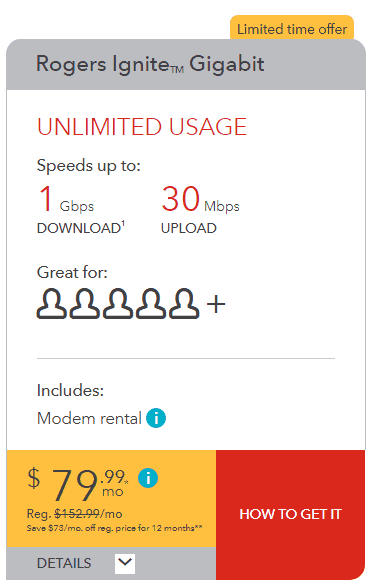 When Go Public later contacted Rogers, the company grudgingly offered a $360 credit to address other issues, but still refuses to provide the corporate discount or end the expensive term contract he is now stuck with for the next few years. When Nider now calls for an explanation about other mysterious charges on his bill, the representatives seem empathetic, but don’t deliver customer satisfaction. Customers and workers are both left stressed about the insistent sales tactics. Customers don’t appreciate having to fight their way through a sales pitch to get their concerns addressed and employees are constantly worried they will be terminated because many customers either don’t want or cannot afford to add anything else to their bill. Rogers employees claim their managers are well aware of these tactics and are also the source of much of the pressure. Despite a responsibility to monitor and manage ethical business practices on behalf of Rogers, managers are also rewarded for achieving sales quotas and bend over backwards to protect the most aggressive and unethical employees by avoiding monitoring their calls or questioning their sales. 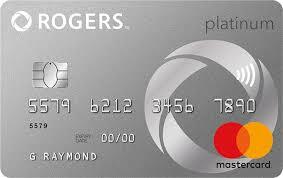 Rogers sells cable TV, home phone, internet, cell phones, home security and other services. Its banking subsidiary even offers its own credit card. Woodward told CBC managers don’t care what you sell as much as what you didn’t. When a customer calls to drop services or cancel altogether, there is a good chance that call will be dropped, because reducing your bill or closing your account will count against the employee’s sales targets. At the end of each month, employees who fail to meet their targets can be forced to take “performance improvement” courses. If sales numbers still do not improve, they are likely to be terminated. An Ottawa-based public advocacy group, the Public Interest Advocacy Centre (PIAC) now wants the Canadian Radio-television and Telecommunications Commission (CRTC) to open a public inquiry on the matter. PIAC’s executive director John Lawford says the CBC report exposes a loophole in Canadian regulations, which do not currently cover industry sales practices. Lawford says these sales tactics, and other similar incidents involving other large Canadian phone and cable companies, appear to directly target seniors, grieving spouses, and the visually impaired community. A group of five men representing Bell, Rogers, and Vidéotron burst into the private home of a Montreal man at 8 a.m. on June 12 without notice and interrogated him for nine hours about his involvement in a search engine that helps Canadian viewers circumvent geographic restrictions on online TV shows and movies. 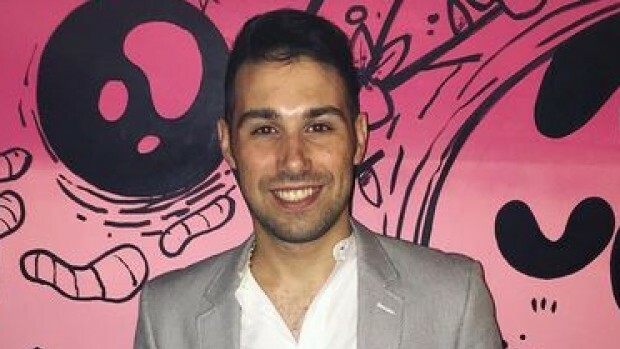 The lawyer representing Canadian telephone company Bell and two of the country’s largest cable companies — Rogers and Vidéotron, was backed by a bailiff and independent counsel who informed Montreal software developer Adam Lackman, founder of TVAddons and a current defendant in a copyright infringement lawsuit filed by the telecom companies, that he was “not permitted to refuse to answer questions” posed by the companies under threat of additional criminal and civil penalties. Lackman was instructed he had one hour to locate an attorney, but was forbidden to use any electronic or telecommunications device to contact one. He was also not allowed to leave the designated room in his home where he was held unless accompanied by a corporate lawyer or court official. The men also warned Lackman’s attorney he could not counsel Lackman on his answers to their questions and had to remain silent. Lackman was eventually placed in a room in his home and interrogated almost continuously for nine hours, but was given a brief break for dinner and time to finally talk privately with his attorney. By the time the bailiff, two computer technicians, the independent counsel and the corporate attorney left, it was 16 hours later and after midnight. The men left with Lackman’s personal computer and phone, along with a full list of usernames and passwords to access his email and social media accounts. The telecom giants gained access to Lackman’s home with the use of a Anton Piller order, a type of civil search warrant that gives private individuals and companies acting as plaintiffs in a lawsuit full access to a defendant’s home with no warning. The order was designed to allow searches and seizure of relevant evidence at high risk of being destroyed by a defendant. The Canadian companies were upset because of Lackman’s involvement in Kodi, an open source home theater platform that allows viewers to access stored and online streaming media. Lackman produces apps, known as add-ons, that help Kodi users access live TV streams and recorded content. Unfortunately, that sometimes occurs in contravention of geographic and copyright restrictions imposed by the Canadian companies on Canadian viewers. As a result, several large telecom companies filed suit against Lackman for copyright infringement. On June 9, a Canadian Federal Court judge handed the telecom companies a victory in the form of an interim injunction and restraining order against Lackman prohibiting him from engaging in any activity that could further violate the companies’ interpretation of copyright law. The ruling also included an Anton Piller order, which critics contend often allows private companies to engage in extended fishing expeditions looking for additional evidence to further their case. The order included the right to seize any and all data surrounding the alleged offense, including equipment, paper records, bank accounts, and anything else in Lackman’s possession that plaintiffs could argue was connected to the lawsuit. It also permitted a bailiff and computer forensics experts to assume control of many of Lackman’s internet domains including TVAddons.ag and Offshoregit.com, as well as his social media and web hosting accounts for a period of two weeks. Since the case was handled ex parte (open to only one side) by the Federal Court, Lackman was not informed or given the opportunity to present a defense. The ruling evidently allowed the companies to believe they had carte blanche to question Lackman. When the corporate attorney was not grilling Lackman about his own involvement in Kodi add-ons, he demanded Lackman disclose any and all information he had on an additional 30 individuals that might also be involved in services like TVAddons. That demand fell squarely outside of the range of the court order, which is designed to protect existing evidence, not permit plaintiffs to fish for new evidence to bolster their case. After the search ended, Lackman and his attorney went to court to challenge what they believed to be one of the most shocking instances of corporate intimidation and legal abuse ever seen in a copyright case. Lackman’s attorney had little trouble convincing the Honourable B. Richard Bell, who presided over a Federal Court hearing on the matter. Bell found multiple egregious violations of the court order, including a limit on any search to between 8 a.m. and 8 p.m. but instead lasted until at least midnight. The judge also found ample evidence Lackman’s rights were violated and he was subjected to an intimidation campaign designed to destroy his software business, leave him financially unable to mount any defense against the lawsuit, and get him to both incriminate himself and others against his will. A court transcript reveals the real motives of Canadian telecom companies: to “neutralize the guy” that is hurting their businesses. Bell also saw through the plaintiffs’ questioning of Lackman about 30 other individuals that might also be allegedly involved in copyright infringement. Lose in one venue, win in another. The judge ruled the Anton Piller order be declared null and void and ordered all of Lackman’s possessions to be returned to him. To all observers, it was a withering repudiation of the tactics used by the Canadian telecom companies suing Lackman. 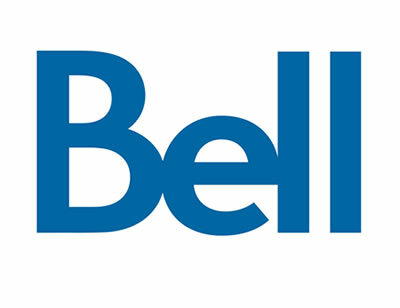 But deep pockets always allow lawyers the luxury of a change of venue and the telecom companies promptly appealed Bell’s ruling to the Federal Court of Appeal, requesting a stay of execution of Judge Bell’s order. The court granted the appeal on behalf of the telecom companies and allowed the plaintiffs to keep possession of all seized items, domains, and social media accounts until a full appeal of the case can be heard this fall. However, the court found defects in the execution of the Anton Piller order, and ordered the telecom companies to post a security bond of $140,000 CDN and continue the $50,000 CDN bond in case sanctions are later warranted. Lackman intends to continue his legal fight and is raising money to cover legal expenses on the fundraising site Indiegogo. He has also set up a new TVAddons website and Twitter account and has resumed the add-on development that got him embroiled in the copyright infringement lawsuit in the first place. But Lackman seems to have at least one judge on his side. “The defendant has demonstrated that he has an arguable case that he is not violating the [Copyright] Act,” wrote Judge Bell, adding that by the plaintiffs’ own estimate, only about one per cent of Lackman’s add-ons were allegedly used to pirate content.